The effort is aimed at extending the leadership roles of Druze soldiers in the IDF to civilian life once they are released from the Israeli military. A dedication for the first Druze hi-tech accelerator program has taken place in Daliyat El Karmel, a Druze town in the Haifa District. The Israeli government was represented at the ceremony by Economy Minister Eli Cohen. The Druze Veterans Association (DVA), led by Koftan Halabi, chairman and founder, has been working in recent years to empower Druze youth towards ensuring their equal opportunity and integration into Israeli society. The program is to begin on March 1st with the participation of 50 engineers. In the meantime, it will take place in temporary quarters, with the cornerstone ceremony for a new building due to be held in August with the participation of the prime minister. 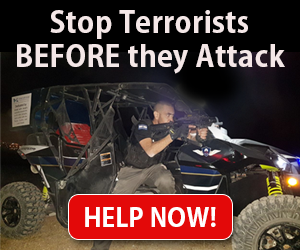 The focus of the program is to help Druze soldiers after their service in the IDF. The DVA also hopes to advance the status of women in the community. “There is no reason that just as in the army, where Druze are leaders, they should not also lead in Israeli society,” said Halabi, pointing to the areas of hi-tech and other technological professions as sectors where Druze Israelis are already involved. The Druze in Israel are a unique minority, numbering over 130,000 among a population of over 8 million. Their language is Arabic, although the younger generation is becoming more integrated with the general population, Halabi says, mixing Hebrew with Arabic while speaking among themselves. However, Eliyahu cautions, the effort requires constant monitoring to ensure its success. He believes that success in promoting this effort will benefit not only Israeli Druze, but also the industry.